My scientific work focuses on ecological patterns in Amazonian tree communities, but I've also researched the endemic floras of Ecuador and Peru, long-term trends in Amazonian animal abundances, and trends in scientific publications about the tropics. The way I think about tropical forests is informed by two inspiring mentors—Steve Hubbell and John Terborgh—and by a cohort of admirable colleagues in tropical ecology. For a list of all papers, chapters, and books click here. You can also visit my Google Scholar page here, my ResearchGate page here, or my Field Museum staff profile page here. Você pode ver o meu currículo Lattes aqui. For blogs and essays about my research, click here. For news articles about my research, click here. Amazonian tree communities present 16,000 species’ worth of practical, intellectual, and ethical challenges. Much of my research on these forests uses tree inventory data to address classical questions in community ecology, like why some regions of the basin are more diverse than others and why some tree species are more common than others. I’ve also spent a lot of time trying to piece together what networks of small inventories scattered across the landscape can tell us about the distribution of Amazonian tree species at the largest spatial scales. More here. One of the most troubling aspects of tropical conservation is how little we know about the status—or even the location—of the species we’re trying to protect. In Ecuador alone, >1,000 endemic plant species are known from a single collection made decades ago. The comparable number for Peru is >2,000. Are those species still out there? Are they protected by parks? Since 1997 I’ve worked with Ecuadorean and Peruvian colleagues to answer these questions by helping edit two compilations of what is known about the countries’ >10,000 endemic plant species. More here. We know distressingly little about how populations of tropical animals change from year to year. During my tenure at the Los Amigos Conservation Concession in Amazonian Peru, I oversaw a team of park guards who conducted regular surveys of birds, mammals, caiman, and turtles along forest and river transects. That monitoring, some of which they're still doing today, offers one of the first looks at how Amazonian animal communities rebound when hunting and logging end and protection begins. More here. Efforts to protect and understand tropical nature will fall short without a surge in the number of biologists working in the tropics and a surge in the resources available to them. Figuring out how to make these hundred flowers bloom is as challenging as pure science and probably more important for conservation. Much of my work on this topic dates to a 2003–2008 stint managing the Los Amigos Biological Station, a research center in Amazonian Peru that has helped support hundreds of young Latin American biologists. More here. 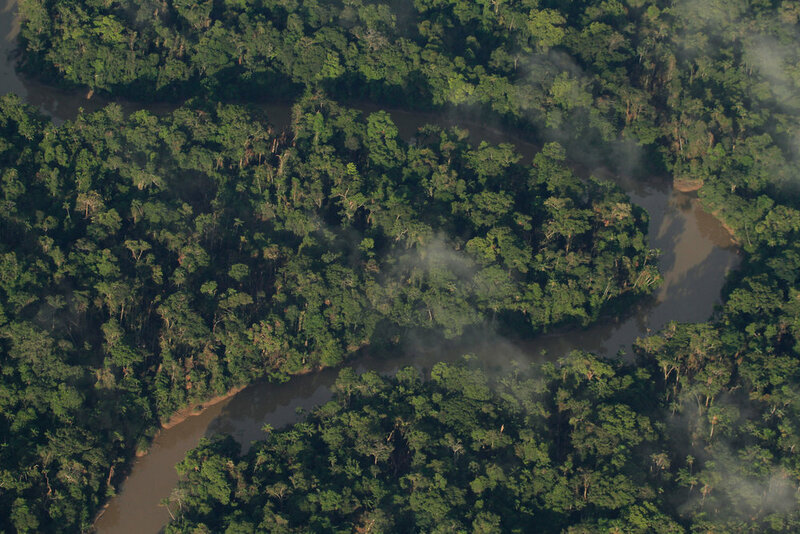 Improving accessibility to the scientific papers that have been written about the Amazon is just important as writing new papers, and digitizing old data is just as important as collecting new data. I've worked on a number of projects to compile and mobilize old publications and datasets, and to draw out insights that help us to use them well. More here.